Day 1 Day 1: Travelling from Lhasa (or from Tsetang) to Gyantse via Yamdrok Lake and Karo la. Day 4 Day 4: All day drive to Shigatse. Day 1: Travelling from Lhasa (or from Tsetang) to Gyantse via Yamdrok Lake and Karo la. In the morning, visit Gyantse’s main monastery called Palkor Chode. The main temple was built between 1418 and 1425 AD by the prince of Gyantse. It was an eclectic academy with 16 dratsang (colleges) belonging to various Buddhist schools like the Sakya, Butonpa, Geluk and Kagyu. All the college buildings have been destroyed, however the main assembly hall has been preserved with its remarkable 15th century images and murals. Don’t miss the tiny Protectors’ Hall in the ground floor, and visit the nine-story stupa next to the main temple with its 108 shrines, which houses the most interesting statues and paintings of Tibetan Buddhism. The name of the monastery means “light coloured earth”, and it comes from the white patch on the hillside opposite the main temple complex. Sakya was not only a famous monastery and seat of the Sakya school in Tibet, but also the center of power in the 13-14th century, when Sakya lamas were tutors of the emperors of the Yuan Dynasty of China. The main sutra halls house various relics, huge statues and an impressive library of Tibetan scriptures. After leaving Shegar, we will turn off the friendship highway for a stunning drive through Qomolangma National Park, and reach the Rombuk valley by the afternoon for our first glimpse of Mt. Everest or Jomolangma in the local tongue, meaning the “Queen of the mountain range”. The best views you get from the tiny Tibetan monastery, Rombuk Gompa (5100 m), where we will spend the night. A less than two hours walk (7.5 km) or a short bus ride will take you to Everest Base Camp (5200 m), the closest point to the mighty mountain you can access without climbing permit. Rombuk Monastery: Rombuk Monastery is also called Dzarong, and it belongs to the Nyingma School of Tibetan Buddhism. Rombuk is claimed to be the highest monastery in the world. 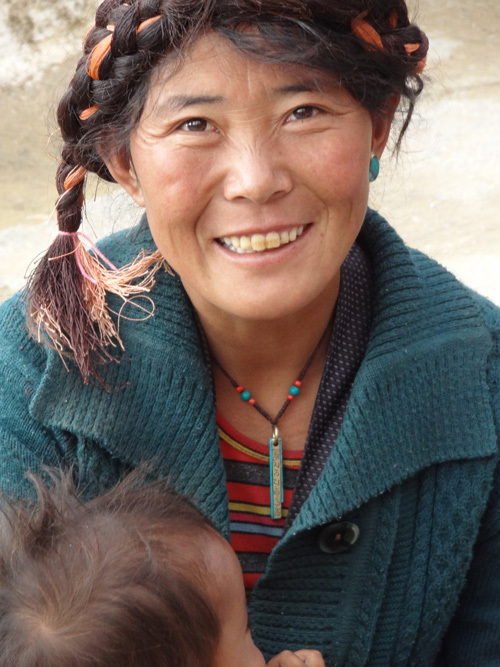 For Sherpas (Himalayan ethnic group), living on the Nepali side of Everest, was always an important site of pilgrimage. Early expeditions to the Everest regularly visited the monastery to sponsor a ritual in order to appease the mountain gods and ensure good weather for their journey. The monastery was founded in 1902 by Ngawang Tenzin Norbu, popularly known as Dzatul Rinpoche, in an area, where already for a century nuns set up meditation huts for extended religious practice. Rombuk always maintained a close relationship with other monasteries in the Himalaya founded by Dzatrul Rinpoche, especially with Tengboche in Solu Khumbu, Nepal, where many books and other treasures were taken for safekeeping after Rombuk was completely destroyed during the Cultural Revolution. Rombuk was reconstructed in 1983 in the original style and manner with some beautiful murals, and since then it is a home of about 30 monks and nuns. Mt. Everest has two base camps, one on the Nepali side, and the other, we visit on this trip is the north face, situated on the Tibetan side of the mountain (5150 m). The actual climbers’ base camp is located 7 km from Rombuk. There is a motorable road going up all the way, and depending on the season you can either walk all the way, or drive up to the tent city halway between Rombuk Monastery and EBC, and take a government bus to Base Camp. Day 4: All day drive to Shigatse. Early morning visit Tashilhunpo Monastery, the main seat of the Panchen Lamas, an important reincarnation lineage of the Gelukpa school. Between the 17th and the 20th century the Panchen Lama ranked second highest among Tibetan Lamas, and he had the right to approve even the reincarnation of the Dalai Lama. His impressive monastery has numerous halls containing memorial stupas of Panchen Lamas and the highest statue of Maitreya, the future Buddha.